His upcoming movie, The Old Man & The Gun, will be his last time in front of the camera as an actor. 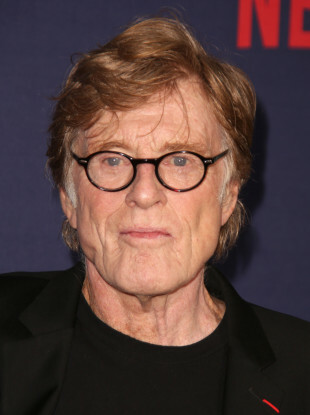 SCREEN LEGEND AND Oscar winner Robert Redford has announced that he’s retiring from acting at the grand old age of 81, with upcoming movie The Old Man & The Gun his last gig in front of the camera. The actor, director and founder of the Sundance Institute and its film festival began his career on stage 60 years ago, before moving into TV and film, and eventually into directing. “Never say never, but I pretty well concluded that this would be it for me in terms of acting,” he told Entertainment Weekly. (I’ll) move towards retirement after this ’cause I’ve been doing it since I was 21. I thought, well, that’s enough. And why not go out with something that’s very upbeat and positive? His publicist Cindi Berger confirmed the article was accurate. When asked if his prospective retirement would extend to directing, Redford was tight-lipped and his agent did not elaborate. “We’ll see about that,” Redford told Entertainment Weekly. In The Old Man & The Gun, directed by David Lowery, the California native plays Forrest Tucker, the real-life career criminal whose bank robbing spree and multiple escapes from prison lasted more than 60 years. “To me, that was a wonderful character to play at this point in my life,” Redford told Entertainment Weekly. The film, set for release in the United States on September 28, also stars Oscar winners Sissy Spacek and Casey Affleck. Lowery told Empire magazine that he felt the “weight” of directing Redford in his final screen role. “He mentioned that right before we started production,” Lowery told Empire. “I think the movie is as much about (Redford) as it is about this character. It’s about someone in the twilight of their life, doing something they love,” he added. He was born Charles Robert Redford, Jr on August 18, 1936, in Santa Monica, California, the son of an accountant. His mother died in 1955, a year after he finished high school. He went to the University of Colorado, but dropped out a year later and subsequently moved to Europe to study art in Paris and in Italy, a formative experience that transformed his political and social awareness. After returning to the United States, he moved to New York, where he enrolled at the American Academy of Dramatic Art and made his debut as a stage actor. After a variety of television roles, he moved on to the silver screen, where he found success with romantic comedy Barefoot In The Park opposite Jane Fonda, before his major breakthrough in Butch Cassidy and the Sundance Kid in 1969, when he was 33. Subsequent hits as an actor came in The Sting (1973) which won him an Oscar nomination; The Great Gatsby the following year; Three Days of the Condor (1975); and the critically acclaimed All the President's Men (1976) -- his sun-kissed all-American good looks making him a household name. Other majoring acting credits for the man with the sun-kissed, all-American good looks were baseball classic The Natural and epic romance Out of Africa (1985) alongside Meryl Streep. In 1981, he won an Academy Award for his directorial debut on Ordinary People and has a string of other directing credits, including A River Runs Through It, in which he starred alongside a young Brad Pitt, and Quiz Show. Also in 1981, he founded the Sundance Institute in Utah for aspiring filmmakers, disaffected with Hollywood's commercialism and lack of diversity. The annual Sundance film festival is one of the most influential in the world and has fostered more than a generation of independent directors. Despite his fame, Redford has led a largely private life and steers clears of many award shows and public film festivals. An passionate conservationist and environmentalist, he has often spoken up for social responsibility. In 2002, he won an honorary Oscar as an actor, director, producer and creator of Sundance. To date, he has also won six Golden Globes and one BAFTA. In 2016, he was awarded the Presidential Medal of Freedom, the United States' highest civilian award, by Barack Obama. He married his first wife, Lola Van Wagenen, in 1958. They had four children, one of whom died as an infant. They divorced in 1985 and he married second wife, German artist and long-term girlfriend Sibylle Szaggars in 2009. Email “Robert Redford is to retire from acting aged 81”. Feedback on “Robert Redford is to retire from acting aged 81”.